For much of the last 30 years, there was one air-to-air missile that captivated professionals and enthusiasts alike — the big, expensive Hughes AIM-54 Phoenix. The long-range armament of the Grumman F-14 Tomcat. It’s generally accepted that the famed missile was only ever used in anger twice — in 1999 over Iraq, toward the end of its active service with the U.S. Navy. Although Iran is known to have purchased AIM-54s together with a fleet of F-14s in the mid-1970s, legend has it that Iranians never used any Phoenixes in combat. As is so often the case, the actual story is entirely different — and remains largely unknown to the Western public. In late 1973, Iran — then ruled by Shah Mohammad Reza Pahlavi, a close ally of the USA — placed the first of two orders for a total of 80 F-14s and 714 Phoenixes. The first two Tomcats were delivered in January 1976, and all the others followed over the next two years, together with about 240 Phoenixes. 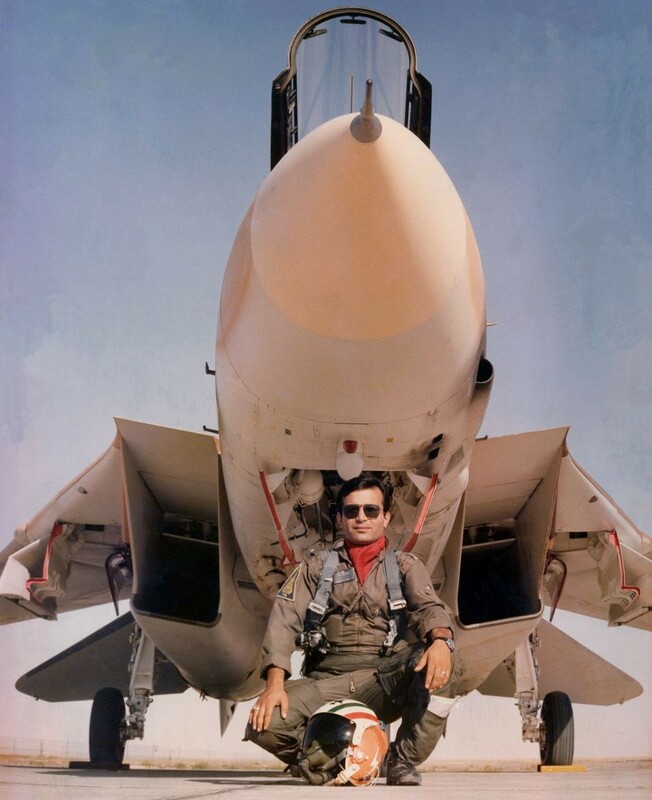 By early 1979, around 120 Iranian pilots and slightly fewer than 100 radar-intercept officers, or RIOs, had completed their training on F-14s. Then the so-called “Islamic Revolution” swept the Shah from power. The air force — officially re-designated the Islamic Republic of Iran Air Force ever since — was essentially grounded for months. This changed in August 1980, as tensions increased with Iraq. The technical staff started to get the Tomcats ready and we checked a number of pilots and they started their combat duties … flying [combat air patrols] along the border with Iraq. Initially, the conflict was limited to cross-border skirmishes. Iraq would bomb our border guards and vice versa, and when our F-4s went for cross-border sorties, we usually provided top cover for them and that’s how we in the end we provided refresher training for the majority of our F-14 pilots. On Sept. 8, 1980, the IRIAF was ordered to launch its F-4E Phantom IIs for attacks on Iraqi tanks and artillery attacking Iranian border posts. One Phantom was shot down by Iraqi ground defenses. The crew ejected inside Iraq and evaded several parties sent to capture it, but was not recovered by Iranians until several days later. Concerned by the sudden activity of the IRIAF, the Iraqi chief of staff orderd the Iraqi air force to conduct reconnaissance sorties deep inside Iran in order to find out if the Iranian army was preparing for a war. The recon planes included MiG-21Rs of No. 70 Squadron based at Rashid air base in Baghdad and also Su-22s from No. 44 Squadron at Firas air base in Mosul. The Islamic Revolution of 1979 left the IRIAF in possession of an incomplete network of early-warning radar stations. Furthermore, a number of Iranian defectors revealed secrets of this system to Baghdad in mid-1980. Therefore, Iraqi aircraft were able to fly deep into Iranian airspace entirely unobserved. I told the radar I will head toward TFB.4 [Tactical Fighter Base 4, near Dezful] to land and refuel. After refueling, we took off from Dezful and I was immediately alerted that there was an aircraft roughly 50 or so miles away, in a northern direction. I saw that this target was coming from direction of Hamedan, meaning from north to south. I asked the radar are you sure it is a foe and not a friend. They said stand by so they could check the status of the target, but after a short delay the radar said, ‘No, this is definitely an enemy.’ For us it was hard to imagine an Iraqi pilot would be as brazen as to enter our airspace. Until then, the Iraqis never had the guts to do so. I told my RIO Pasha-Pour to launch a missile at this target. After a quick pause I repeated my order. He told me to do it. I told him to do it. Finally, he pushed the button. Because I flew F-5s earlier, I was used to seeing the missile going off the wingtip rails and accelerate really fast. I never fired an AIM-54 before and did not know what a Phoenix launch actually felt like. Once Pasha-Pour pushed the button, I could see nothing. I only heard the sound of something detaching from the belly of my aircraft. I told Pasha-Pour that I think that, unfortunately, the missile malfunctioned and fell to the earth. Thus I inverted my aircraft to see what was going on below and saw the missile falling away. But then I saw it releasing a smoke trail … only then did I recall that the launch sequence took several seconds. The IRIAF officially credited Ataayee with a kill of the Sukhoi Su-20M flown by pilot named Faysal Abdul-Fattah Abdul Rahman. This conclusion has been confirmed by captured Iraqi documents. However, Iraq never bought any Su-20Ms and, as of September 1980, the Iraqi air force’s No. 1 Squadron was still equipped with 16 out of 18 Su-20s Iraq acquired in 1973. Indeed, none of the Su-20s were operational for most of September 1980, according to an Iraqi air force document entitled “Engine-Related Problems with Su-20s, 4 September — 24 October 1980” and dated May 29, 1981. The entire fleet had developed engine-related problems and was grounded pending investigation by a team of Soviet experts. Finally, no available Iraqi documentation shows a loss on Sept. 9, 1980. According to “Analytical Study of Iraqi Aircraft Attrition During the Iran-Iraq War,” prepared by the Iraqi air force’s intelligence directorate in 1992, the first Iraqi loss in the war with Iran was an Su-22 flown by No. 44 squadron commander Maj. Noubar Abdel-Hamid Al Hamadani, shot down on Sept. 14, 1980. Hamadani had led a pair of Sukhois on a visual reconnaissance sortie inside Iranian airspace. The wingman later reported he came under small-arms fire, but nothing happened initially. A minute later, Hamadani’s aircraft “just blew up” without any warning. The pilot was declared missing in action and was never heard from again. While the IRIAF F-14 crew certainly had good reason to claim its first kill on Sept. 9, 1980, currently it remains unknown if Ataayee and Pasha-Pour really scored the first-ever kill by an AIM-54. It’s possible that this honor belongs to 1st Lt. Fereydoon-Ali Mazandarani and 1st Lt. Qassem Soltani, who claimed to have shot down a MiG-23 with an AIM-54 on Sept. 17, 1980. This much is certain — the IRIAF’s F-14s were not only operational, but began using their Phoenix missiles in combat days before Iraq invaded Iran on Sept. 22, 1980.